This update is published on the last Monday of each month. The tables contain prices from last Friday's close. In spite of mostly positive economic news last week, the market declined as Washington's political elite dithered on the fiscal cliff. The following table does not include shares purchased with dividends. The purchase and sell prices do not include commissions. However, when a position is sold, the trade snapshot appearing in the foregoing post will contain any reinvested dividends and include commissions costs. This portfolio experienced a decline of .6% last Friday. Realized Gains in this Basket Strategy 2009-2012: $9,921.43 plus dividends-snapshots at Stocks, Bonds & Politics: REGIONAL BANK BASKET STRATEGY GATEWAY POST. A. On 11/26/12, People's United Financial (PBCT) announced that it had completed purchasing the entire 18 million shares under its share repurchase authorization. The weighted average price for those repurchased shares was $12.08. The Board authorized a new program to purchase up to 10% of PBCT's outstanding shares or 33.6M shares. This announcement contains several noteworthy items. First, the company actually bought all of the shares in the prior authorization announced in October 2011. Many companies may announce a share buyback but fail to complete it or even make any significant purchases under the authorization. And, very few banks are buying back their shares in this kind of volume. Some banks, like Bank of America, are not even allowed by their regulator to use their capital to buy back shares or pay more than a 1 cent per share quarterly dividend. Second, the buyback was completed at a decent weighted average cost. I never view it as helpful for a company to buy back shares when the stock is selling at a relatively high P/E. Third, the new repurchase program, the fast completion of the prior one, and the existing common stock dividend tells me that this bank has capital to return to its shareholders through shrinking the share base and paying a decent common share dividend. I would attribute that decline to several factors: (1) concerns generally applicable to regional banks in general involving net interest margin compression; (2) a lackluster third quarter earnings report; (3) valuation at the $17+ price; and (4) the payment of a $.28 per share dividend. Prior to the share price slide, I did manage to trim my stake by selling 50 shares at $17.51 (Item # 3 : September 2012 Post) I did not want to buy anymore shares at over $17 so I quit reinvesting the dividend. I changed back to reinvestment due to the slide. I still own shares bought at higher prices than my last add at $14.24: Item # 3 Added 50 FFBC at $15.95 (August 2012); ADDED 50 FFBC at $14.87 (December 2011). This bank is paying out all of its net income in dividends until the end of 2013, unless there is a material change in its capital position. The quarterly dividend now consists of two parts: a fixed dividend of 15 cents per share and a variable dividend equal to the difference between 15 cents and the net income per share. The last quarterly dividend was $.28 per share. At the fixed rate of 15 cents per share, the dividend yield would be about 4.2% at a total cost of $14.24. The variable dividend would juice the yield, for up to another year, to around 8.4%. Net Income Per Share: $.28 up from $.27 in 9/30/11 Q.
I have nothing to add to my discussion in Item # 1 Added 70 KEY at $8.77 (October 2012), except that the price has declined about 10% since that purchase and is at least in theory a better long term buy now. This purchase brings me up to 140 shares, and I will be reinvesting the dividend. E. Bought 120 Monarch Financial (MNRK) at $8.65 (Stocks, Bonds & Politics: REGIONAL BANK BASKET STRATEGY GATEWAY POST)(disclaimer): I neglected to discuss this one in a weekly post. Since I always discuss adds to my regional bank basket, I decided to place a brief discussion of this purchase in this update. I did not buy 120. Instead I bought 100 and subsequently received 20 stock split shares (6 for 5). The cost number above is adjusted for that stock split. Personally, I think that it just asinine to have a stock split for shares selling at less than $10 but this small Virginia bank did it anyway. It is irrelevant since my slice of this business does not change based on stock splits. The stock did go ex dividend since my purchase for a 5 cent quarterly dividend. I have a small capital loss on the shares. So anyone can show up the OG by buying at a lower price. Monarch is a bank holding company headquartered in Chesapeake, Virginia. It has two wholly owned banks. The first is known as Monarch Bank with 11 branches in the Hampton Roads area. The other is a division of Monarch Bank, OBX Bank, operating in the Outer Banks of North Carolina with 2 branches. The location of those branches can be found at page 5 of the following investor presentation. As noted in that Investor Presentation, Monarch participated in "TARP in December 2008 as an abundance of caution" and repaid the government in full in December 2009. The preceding post contains snapshots of all trades where the gain or loss exceeded $30. This strategy would be strangled at birth, given the small odd lots, without today's low online commissions. Approach: A deeply contrarian value approach. Expect a number of failures! Holding Period: Can be until the OG is no more-particularly given the small size of each position. Formed After Losing and Rarely Winning Anything at Powerball. A. Bought 30 Sims Metal Management (SMS) at $9.26 (see Disclaimer): Sims Metal Management is the largest public company in the metal and electronics recycling business, with operations at over 270 locations in more than 20 countries. While the company has its headquarters in NYC, SMS is an Australian company whose ordinary shares are traded on the Australian stock exchange: SGM.AX: 8.91 -0.02 (-0.22%) : SIMS METAL MANAGEMENT Sims files its reports with the SEC using the forms applicable to foreign companies (e.g. Form 20-F is the Annual Report rather than Form 10-K used for a U.S. domiciled company). I bought the ADR traded on the NYSE. This Lottery Ticket selection is based on the usual statistical criteria along with a smashed stock price. For a patient investor, willing to hold for up to five years, there is a realistic potential for a double with sustained worldwide economic growth. The company has been paying dividends in Australian dollars, see page F-54. This stock was selected using a Morningstar screen. SMS is currently rated five stars by Morningstar with a fair value estimate of $16 per share and a consider to buy price at $9.6 or less. As noted in the Morningstar report, Sims Metal Management was created by the 2008 merger of Australia's Sims Group and the U.S. company formerly known as Metal Management. Subsequent to my purchase, the stock was hit some after Sims Metal Management guided its F/Y 2013 EBITDA down 20% from its previous range of $110-$120M. B. Bought 30 QLGC at $8.83 (see Disclaimer): I would not profess to understand much, if anything, about QLogic's products. For a LT selection, it is unnecessary to have that comprehension. With a maximum purchase limit of $300, I am not concerned about my ignorance. Basically, the company develops and manufactures storage networking infrastructure components. This selection was made using primarily statistical criteria that became more appealing after the market smashed the stock price. During the Bubble Years, QLGC a split adjusted high of $203.25 in 2000 before coming back to earth from La La Land. (Page 10 10-k, YF historical prices are wrong). The price had moved from a low of $3.49 in the previous year. Irrational pricing decisions are the norm rather than the exception. 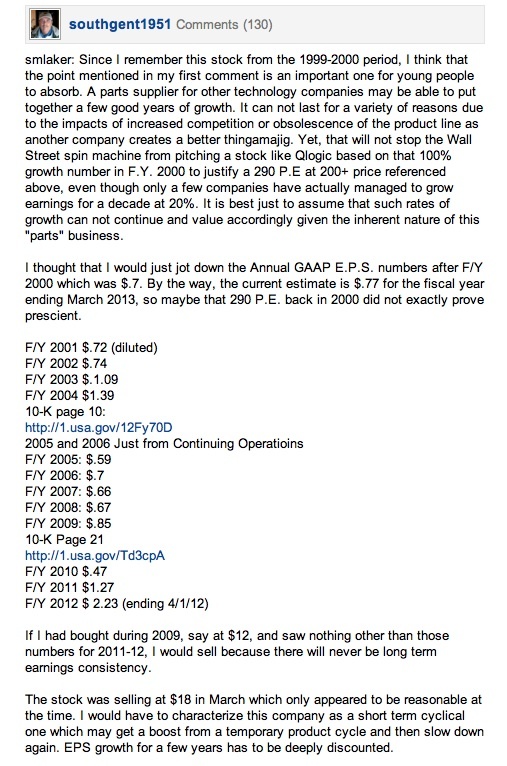 After I bought these shares on 12/7/12, a SA contributor published an article on QLogic: 72% Upside . . . Left Brain of course launched into a lecture about the lessons to be learned from Qlogic's history and has, as expected, received almost no favorable responses. Of course, our LB is not even capable of talking about such matters except in the professorial mode. LB has sort of taken its show on the road so to speak. Over the past five years, the stock has traded mostly in a $12 to $18 channel range. The stock was trading at over $17 earlier this year before starting a waterfall type decline in March 2012: QLogic Corporation Stock Chart The recent pricing is below the February-March 2009 lows: QLGC Historical Prices So, the stock price of less than $9 per share certainly qualifies as smashed, one of the usual criteria underlying a LT selection, looking at the chart and historical prices. I highlighted the statistical criteria viewed as most important. The company is profitable and has net cash equal to 62.7% of the $8.83 market price. The company reported GAAP net income for its fiscal second quarter of $11.8M, or 13 cents per diluted shares, on revenues of $117.9M. Press Release Cash, cash equivalents and marketable securities were reported at $484.416M as of 9/30/12. No long term debt is shown on the balance sheet. Before purchasing this stock, I did review analyst reports published by Zacks and S & P. Understandably, the analysts had neutral ratings on the stock. S & P gave it three stars with a 12 month target price of $11. If I had some comprehension of the products, which I do not, I would have bought this one in the The $500 to $1,000 Flyers Basket Strategy, which would have allowed a 100 share purchase at $8.83. C. Bought 50 STKL at $5.85 (Stocks, Bonds & Politics: Lottery Ticket Strategy: New Gateway Post)(see Disclaimer): I have bought and sold this Canadian company many times. 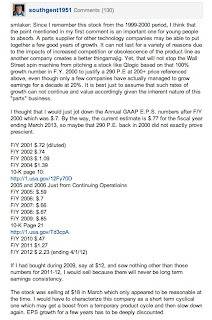 While LB did provide some input into the Qlogic selection, mostly to show the irrationality of Right Brains who took Qlogic's price to over a 200 P/E and $200 per share in 2000, LB refused to do anything to help the RB, who runs the LT strategy, on this purchase, saying something about giving RB some rope. This company was initially purchased outside the purchase limitations of the LT Strategy and was demoted to LT status after making a dive toward zero. The last sell on 11/1/2007 was a total cost of $14.5497 per share. RB was then allowed to buy 100 shares, purchased at $1.85 in 2008. Buy of Sunopta at $1.65: Highly Speculative (December 2008). As RB barely recalls, the decline had something to do with strawberries, but why sweat the details when it is all about the future anyway. But don't quote the RB on that strawberry angle. Those 100 shares were sold at $4.06 (September 2008), a few months later RB was quick to add which goes to show who is the real star here at HQ, certainly not the Lame Brain. Headknocker is fine with what RB is doing, at least when the Nit Wit is playing with the house's money doing that vision, hopium thing or whatever it is doing now. HK does not want to know and is just happy the RB is out of the serious business end of HQ's storied trading operation. Now, if anyone is expecting a discussion about this stock, you may be disappointed. The Old Geezer decided to help the RB out by referencing some numbers and providing a link to the last earnings report and transcript of the earnings call. RB noted that the OG can be helpful sometimes, when compos mentis of course and relatively free of those old age issues and senior moments, but one has to take into account those brain misfire problems. The OG tries, to be sure, but what can he do really when most of brain synapses are no longer functional, just one of those self-evident propositions like life, liberty and pursuit of happiness that Tommy Jefferson wrote about many years ago, RB noted showing off its scholarship. RB diagnosed the issue by looking at some Brain pictures. A research report was published at Seeking Alpha on STKL after my purchase. That author also delves into the value of STKL's interest in two companies Opta Minerals and Mascoma, that are far beyond the scope of my discussion involving a LT purchase. I left a number of comments to that article. I would just add that STKL has had ownership stakes in those businesses since I started to buy the stock in 2007. STKL has a 66.2% stake in Opta. This stake is clearly non-strategic. Based on last Friday's close of $2.5 CAD for OPM shares, STKL's stake is worth about USD $30.0223M (Market Cap at TSX shown at CAD $45.199M x .662= CAD $29.9217M or roughly USD $30.0223M at last Friday's exchange rate). With 65.98M STKL shares outstanding, the OPM stake is worth around 45 cents per STKL share. 2. Tetra Technologies (TTI): This stock is now trading above its 200 and 50 day SMAs, closing last Friday at $7.4. TTI Interactive Chart The fifty two week low was hit on 10/31/12 at $5.35. The current consensus estimate is for a $.60 E.P.S. in 2012 and $.82 in 2013, a 36.67% growth rate. Compresso Investor Presentation at page 15). Stock and Bond bull and bear markets start and end at extremes. The seasons come and go, nothing lasts forever. For whatever it is worth, Floyd Norris stated in his column tonight that the long term bull market in bonds is kaput. Without question, bonds were at one extreme when the long term bond bull market started in 1982. The 30 year treasury bond was yielding 14% to 15.25% in 1981-82. It is now yielding less than 3%. That should cause any bond bull concern. The TIPs have gone into La La Land. As Norris points out, the treasury just auctioned a 4 year and 4 month TIP with a negative current yield of -1.496%. treasurydirect.gov .pdf I have sold out of TIPs. The death phase of a stock or bond bull market is reflected both in price and enthusiasm with myriad arguments used to justify extreme prices. This time is different, but it is never really different. A stock market novice could have picked the end of the 1982-2000 stock bull market by simply looking at the Shiller PE Ratio. The yield on treasury securities is equally insane now. Anyone buying at today's prices is virtually guaranteed a negative real rate of return before taxes. The Federal Reserve could easily lose control over the long rates sometime in 2013, notwithstanding a continuation of zero percent federal funds and massive purchases of treasury securities with newly created money which may actually add fuel to a steepening yield curve. The likelihood of that happening would increase with a continued recovery in U.S. home prices, plus an acceleration of new home construction and automobile sales. When the worm turns against bond owners, and it will turn, it will likely turn with a vengeance. When a long treasury is yielding 3%, the damage to a holder with a rise to 5% would be devastating. My current thinking is that the long term bull market in bonds will soon be over. I am not likely to own any bond fund by the end of 2014. I will continue to own individual bonds and floaters whose coupons rise with short term rates. I will probably shorten my weighted average maturity some of individual bonds. Depending on how 2013 develops, I may start to trim or even eliminate my modest CEF leveraged bond fund positions next year. I am just super cautious on bonds now. We may be fine for another year, maybe two, but I would not bet on it. I would keep a close eye on the yield spread between short and long term bonds. The Federal Reserve can keep control over the short term rates and start to lose its influence over the longer term rates even with QE4. A widening spread would be just one signal. I am just waiting to see whether Congress can resolve the fiscal cliff matter before deciding whether to change the short term stock outlook. I am assuming maximum dysfunction until proven otherwise. Guilty until proven innocent. LB could solve the entire matter in an instant, on a fair basis, without breaking into a sweat, that would address the long term fiscal issues faced by the U.S.
Resource Capital declared its quarterly on both is preferred and stock. The quarterly dividend on the preferred stock RSOPRB, which I own, is $.515625. According to a summary of a Sterne, Agee & Leach report on regional banks, Barrons, that firm added Berkshire Hills (BHLB), which is owned, as one of its 9 best picks for 2013. Of the remaining ones, I do not currently have a position, but have bought and sold ONB. Another one mention, PNC Financial Services, is too large for my approach. The cover story in this week's Barrons has the headline "Europe on Sale". The author argues that the European stock market could "rally as much as 20% in 2013". Focus for a moment on the quoted phrase. What exactly does it mean? It really has no substance at all. The market may rally 1% or 15% or 20%. I would agree, however, with the general thrust of the argument that the European stock market has a large number of undervalued companies that could be bought by investors who are capable of thinking long term and who have somehow learned patience which is not a natural condition for our OG. Any investment now may not pay off in 2013, and there is certainly no way now to know, with any decree of certainty, whether the European market will be either positive or negative next year, let alone the amount of any gain or loss. Value investors can not think in those terms. The European market may take off next year, so maybe I need to increase my position in those equities now just in case Barron's upper target proves close to prescient. As the future turns into the past, I can make more decisions with later acquired information. I own a few European companies. I also have a position in the ETF ADRU which currently owns 85 ADRs of European companies. I am not likely to add more to that one. Instead, since I can buy Vanguard ETFs without paying a commission at Vanguard, I will simply keep ADRU and start to add the Vanguard MSCI Europe ETF (VGK) in small pieces. The expense ratio is .14%. Through 9/30/12, the annual average 5 year performance of that ETF is -5.46. Fine, that is precisely the point. I did not own it over that period and can add to it now. As to ADRU, I briefly mention two purchases made in 2009 at $15.12 and $19.81, ADDED TO ADRU (August 7, 2009). I have been reinvesting the dividends and have not paid much, if any, attention to it. It has not been able to gather much assets. MSCI Canada Index ETF has a .09% expense ratio and owns 100 Canadian stocks. FTSE Canadian High Dividend Yield Index ETF (VDY) has a .3% expense ratio and owns 82 stocks. FTSE Canadian Capped REIT Index ETF (VRE) has a .35% expense ratio and 19 holdings. Canadian Short-Term Corporate Bond Index ETF (VSC) has a .15% expense ratio and owns 80 bonds. Security Description: The Goldman Sachs Group Inc. Depository Preferred Shares Series D (GS.PD) is a floating rate equity preferred stock, with a minimum coupon, that pays non-cumulative, qualified dividends at the greater of 4% or .67% above the three month Libor rate on a $25 par value. One of advantages is that some deflation/low inflation and inflation protection is built into just one security. The deflation/low inflation part involves the minimum coupon, in effect now of course, while the inflation component is the LIBOR float. The qualified dividend is another advantage. It remains to be seen, however, whether this favorable 15% tax cap will continue, particularly for the wealthy. I am working under the assumption that most "well off" investors are about to lose this advantage. The question is the dividing point in annual taxable income. Short term rates are likely to remain artificially low for several more years. The Federal Reserve adopted its 0% to .25% federal funds rate in December 2008. Central bank monetary policy will keep the 3 month LIBOR rate at artificially low levels for an "extended period". Rationale: (1) Income is Better Than Cash Earning Nothing/Some appreciation Potential Possibly to $22 with Risks (see below)/Deflation-Low Inflation-Problematic Inflation Scenarios Embodied in One Security. I also discuss this security in a recent Silicon Investor comment. At a total cost of $20.6, the dividend yield at the 4% coupon is about 4.85%. The LIBOR float provision will activate when the 3 month LIBOR rate is over 3.33% during the relevant computation period. At a 5% LIBOR, the rate would be approximately 6.88%. This security was also bought in order to balance the interest rate risk of the senior fixed rate coupon bond, KWN, maturing in 2042 which was recently bought. Risks: (1) Highly Volatile/Heightened Risk/Non-Cumulative: I started to invest in some of these securities during the Near Depression when they could be purchased at greater than 50% discounts to their $25 par values. The downside risk is zero as shown by what happened to those unfortunate souls who owned LEHPRG, a Lehman equity preferred floater, that is now worthless of course. An equity preferred stock is only superior to common stock. It will be junior in the capital structure to all bonds. Given that low priority, the non-cumulative dividends paid by most of them, and the highly leveraged balance sheets of financial institutions issuing them, there will be no recovery in a bankruptcy for an owner of an equity preferred stock. Investors realized that would be the likely outcome and will behave irrationally when there is a whiff of a possible financial collapse. (a 75% chance of bankruptcy when a rational number would be less than 10%). 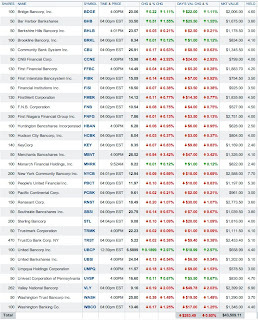 Periodically, these stocks will hit an air pocket and just fall as if a bankruptcy filing was imminent. I am just used to it. So, volatility and risk are just known hazards. Know what you are buying, its history and characteristics. 2. Paired Trade: Sold 100 GDO at $20.79 and Bought 100 BTZ at $13.83 (see disclaimer): Both GDO and BTZ are leveraged closed end bond funds. I still own 120 shares of GDO in the ROTH IRA. I have elected to keep those shares for their tax free income generation in the ROTH IRA. Security Description for BTZ: Blackrock recently reorganization its four credit allocation funds with BTZ as the surviving fund. One of those funds which no longer exists had the symbol PSY. I owned 215.573 shares that were converted into 172.808 shares of BTZ. This add brings me up to 272.808. I am no longer reinvesting the dividend. BlackRock Credit Allocation Income Trust IV (BTZ) is a leveraged closed end bond and preferred fund. The percent of leverage will generally be over 30%. Dividends are paid monthly. The baseline allocation is 50% for investment grade; 30% high yield and 20% in capital securities (TPs and equity preferred stocks), but that breakdown is more of a guideline. Prior Trades: I sold out of BTZ earlier this year. With bond CEFs, I am pleased to receive any profit and simply to harvest the dividend. Hopefully I will not own any leveraged closed end funds when rates start to rise with a vengeance. Anyone holding this kind of fund will suffer the infamous triple whammy. The sequence of events that led me to buy GDO are discussed in this post: Item # 2 Bought 100 Shares of GDO at $18.9 For no reason, the price for this bond CEF had fallen $.65 when I purchased shares from the prior day's close. I knew by checking bond prices that virtually all or all of that decline was causing an expansion of the discount to net asset value. Over the next month, this security went ex dividend twice for its monthly distribution and rose from $18.9 to a close at $20.91 last Friday, 12/21/12. GDO has been reducing its distributions some. GDO The current monthly dividend is $.12 per share. The discount to net asset value had been eliminated altogether when I elected to sell the shares. Most of my realized gain was due to that shrinkage. So, basically, I took advantage of a temporary aberration in pricing to reap a quick 10.38% total return in slightly over a month. (2) Rationale for the Pared Trade: GDO and BTZ have a similar yield and credit quality characteristics. Both pay monthly dividends. BTZ was, however, selling at close to a 10% discount to net asset value while GDO had eliminated its discount since purchase. Possibly, BTZ has more room to run on price by simply narrowing the discount by half. This rationale is a relative discount trade for similar bond CEFs. The trade was made with the following data in hand. When making these trades, I only have the prior day's closing net asset value. I can check to see how bond ETFs are doing just to form an idea of how the fund may be performing. So I was correct in surmising that the discount was widening on 12/21/12. During the summer months, I decided to liquidate one mutual fund to capture a long term capital gain this year, when I at least know that the maximum rate is 15%. I chose the Vanguard Life Strategy Growth Fund primarily due to its low level of income generation. I had two other Vanguard funds with greater long term profits which I decided to keep due to their higher income generation. I took snapshots of those funds, Equity Income and Star, in two previous posts: Item # 3 Vanguard Star and Life Strategy Growth Funds; Item # 5 Stock Funds Table (snapshot of Vanguard Equity Income and Permanent Portfolio). I elected to keep several funds with much larger unrealized gains such as the Permanent Portfolio and Matthews Pacific Tiger, since those funds fit into niches in my overall asset allocation. I have a few funds that were sold down in 2007 to 100 share lots which I am keeping since I have already realized gains on them (e.g. 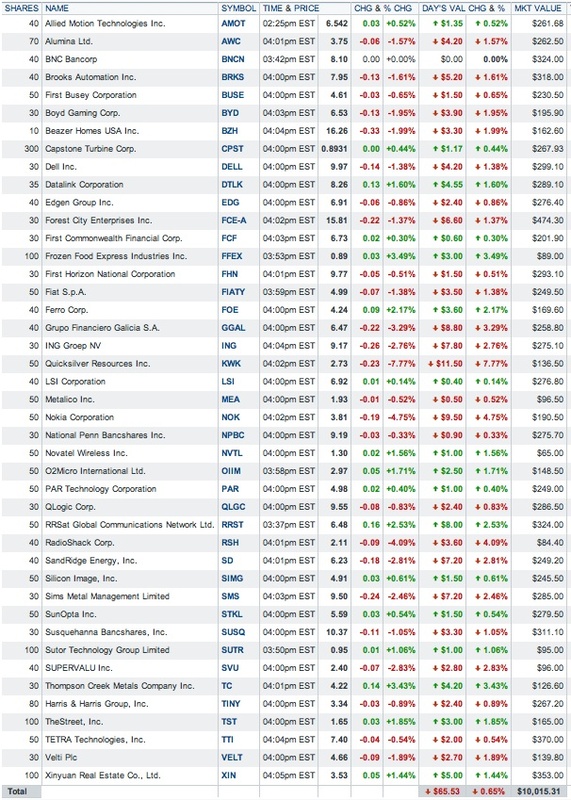 SSEMX at 100 shares) After evaluating all of them, I decided to jettison the low yielding Vanguard Life Strategy fund. After the latest example of dysfunction in the political system, I did not see any reason to wait a few more days before yearend. I intend to reinvest the proceeds into a Vanguard ETF that reflects my totally involuntary, God given, natural, contrarian instincts. (4) Bought 50 FCG at $15.84 (see Disclaimer): This is a starter position in what may turn out to be a super cycle for natural gas demand. Only time will tell. By buying 50 shares of this ETF now, and possibly more later, I will at least focus some attention on how this cycle is unfolding in subsequent months and years. Security Description: First Trust ISE-Revere Natural Gas Index Fund (FCG) is an ETF that owns natural gas energy producers. This energy sector is out of favor currently given the low natural gas prices. The disfavor is manifested by FCG's chart: First Trust ISE-Revere Natural ETF Chart In June 2008, this ETF traded over $31 per share. It has just about been cut in half since hitting that high. The article in a UK trade journal intrigued the LB so it proceeded to read it: GE bets on 25-year gas super-cycle - Gas to Power Journal UK The main guy at GE Power was predicting a 25 year natural gas super cycle. LB is always interested in super cycles, such as the one recently discussed in connection with the parabolic rise of middle class consumers in emerging markets or the super cycle that led to the long term bull market starting in 1982. The next article read had the following title and was even more intriguing: Gas-fired CCPPs will dominate US power market – Siemens VP product sales - Gas to Power Journal UK That guy was saying that the competitive advantage of large coal fired plants was being eroded by the economics of low cost gas generation. In my capacity as an investor, it is irrelevant whether I agree or disagree with the EPA policy. The relevant consideration starts with a very simple question that trial lawyers always want to know: "what are the facts". Once an investor has a grip on the relevant facts, the issue then is simply how to respond. Knowing about the direction and potential impacts of EPA's new emissions rules, which have already resulted in plant shutdowns, I would not be in the market for a coal stock. The product is in abundance and the demand is about to fall. I suspect that the estimate made by a consultant group will be close to what will happen. America is about to lose 20% of its coal fired generation, though the matter is still being litigated and anything is still possible. I discuss those legal issues in the comment section to the aforementioned SA article. I have also started to discuss long term super cycles, natural gas and coal in the comment section to this Seeking Alpha article. A three judge panel of the U.S. Appellate Court for the District of Columbia Court of Appeals affirmed the EPA's greenhouse gas rules. About a week ago, the full Circuit voted to deny a petition for a rehearing en banc, filed by industry groups, of that decision. Unless the Supreme Court grants a petition for review and later reverses the Appellate Court's decision, those EPA rules will become the law of the land. An article in the New York Law journal, written by a Columbia law professor, describes pending EPA regulations and how they could negatively impact electric utilities operating when and if adopted by the EPA. A link will not work. If you are interested, it can be found using these search words: obama reelection EPA regulations Gerrard. The selection would be the PDF version available at the Arnold and Porter website. Another way to play this theme would be with natural gas infrastructure plays (pipelines, storage and processing). Most of those firms are MLPs but there are several ETNs that incorporate those type of companies. Risks: The normal risks for stocks in a sector, particularly one such as natural gas producers where current prices do not reflect optimism about the future or a foreseeable rebalancing of supply/demand in favor of demand and higher prices. Future Buys: With a starter position, I have seen something to perk my interest and simply want to monitor more closely what is happening in the months and years ahead. I will likely average down on up to 150 more shares. With more proof of the super cycle leading to higher prices, I would likely become more aggressive and branch out into other securities. I am likely to average down on the ETN AMJ recently bought in an IRA. For mutual funds, the purest choice for pipelines, storage and processing that I could find was the MLPAX Oppenheimer SteelPath MLP Alpha A Fund (holdings all MLPs: Top 25) I quit looking at that one after seeing the load and expense fees. I have never paid a load and never will under any circumstances. Bought: 1 Terex 8% Senior Subordinated Bond Maturing on 11/15/2017 at 96.947 (August 2011). 1. Republican Senators From Idaho: One thing is clear to me about Idaho. The citizens of that fair state are "social conservatives" who choose like minded individuals to represent them in Congress. When making these selections, it would be important also to select a strong proponent of "family values" and "traditional marriage, not to mention a strait laced responsible person. So, I am not sure what is happening in Idaho anymore. Senator Mike Crapo (R), sort of sounds like an appropriate name for him to the RB, was arrested after running a red light in D.C. and low and behold. Guess what? He was drunk. Okay, everyone makes mistakes, LB was even known to make one about 40 years ago. I glad that he did not kill someone. 2. When Prophecy Fails: This is the title of a recent OP ED piece from Paul Krugman. It is also the tile of a book published by three social psychologist that focused on how True Believers react when facts undermine their prophecy. The psychologists joined a cult that was predicting the end of the world as of a certain date. The purpose was to observe what would happen when the world did not actually end. Guess what? True Believers are not going to change their belief just because of an indisputable fact. Those who actually pay any attention to a Rush Limbaugh or Glen Beck have no interest in gathering accurate information. Instead, they are only seeking validation of their core beliefs formed with little or no accurate information. When I confront a person, invariably a member of a particular political tribe, with a balanced account of what actually has already happened, the reaction will be like I am trying to put worms in their head. A recent example was an exchange with a True Believer who knows what caused the Near Depression. Knows it for a fact. It was all about the Democrats (of course) support for Fannie and Freddie and the Community Reinvestment Act, the standard line of the deaf, dumb, and blind set. So I try to present this gentleman with a more balanced account of what actually happened and all of the forces that coalesced to create the Near Depression. I provided links to multiple sources. Of course he did not read any of it. Why bother with anything that resembles facts. He had no idea about the SEC Rule change from 2004 that allowed investment banks to increase their leverage and how that increased leverage played a role in the collapse of several institutions and the near collapse of others such as Citigroup. This is just one of many example. He even said that I was lying and had some purpose for making those comments other than "truth telling". In short, he was a typical True Believer. Facts will never matter to them, information is tailored to conform to pre-existing beliefs, balance is out of the question. "If anything goes wrong, it is going to be an awfully big mess"
It is futile to have a fact based discussion with a TB. Unfortunately, there are tens of millions of TBs in the U.S. which is just one of many explanations for how the U.S. ends up in wars like Vietnam and Iraq. LB will frequently explore the TB mind with this kind of thought experiment. So now we have QE4, yet another MBS and treasury buying binge. Maybe this one will work some magic. In addition to the purchase of $40B in mortgage backed securities per month, authorized last September, the Federal Reserve committed itself to buying $45 billion in treasuries and to pay with those purchases with new money. This may solve our budget problems. The Fed can print money to buy all of the government's debt and then incinerate that paper in a giant bonfire and pep rally attended by the grateful multitudes relieved to have that burden lifted off their shoulders. The Fed also stated that it will continue its Jihad Against the Saving Class until unemployment fell below 6.5%. A positive discussion on New York Community Bank can be found at the Motley Fool website. I recently added 50 shares to my position. Item # 1 Bought 50 NYCB at $12.94-Regular IRA (currently own 200 shares) I will always discuss some of the negative items about my long positions too. Sometimes, I can be long a stock and a reader might infer from my discussion that I have a short position. How many times have I slammed FNFG, for example, that is mentioned in that article? I do not short stocks. I am not in a position to calculate the daily Shiller P/E ratio. This sites claims to have the number, Shiller PE Ratio, and I will visit it once a week to see the number. ARMOUR Residential REIT declared a 8 cent per share monthly dividend for the next three months. I own both the common and a cumulative preferred stock.. When interest rates were high, I had an account at treasury direct that allowed me to buy treasuries at auction. I let that account expire when the treasury shifted from a paper system to internet accounts. 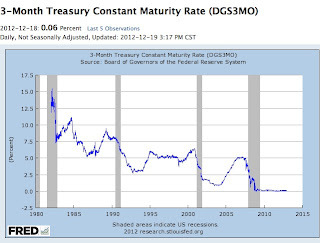 I mentioned in a October 2008 post that I would not be renewing any of my treasury securities at maturity. I did lock in some longer term CD rates with the proceeds from one of the online only banks. When yields rise back to a normal level, I would most likely open a new account which can be done online. It is easy to buy securities at auction by just entering a non-competitive bid and you will receive the "high yield" price that everyone else receives, but you would of course not be influencing the price which will be determined by the competitive bids by large institutions and governments. Bloomberg reported earlier this week that a division chief for the California Highway Patrol recently "retired" at age 53, receiving an annual pension of $174,888 from California plus a check for $280,259 in accrued leave and vacation time. The NRA is just heartbroken about what happened in Newton. 1. Added 100 of the Buy-Write Stock CEF EXG at $8.78-Regular IRA (see Disclaimer): This purchase was a average down on the share price. I am slightly ahead when adding back the dividend. Company Description: The Eaton Vance Tax-Managed Global Diversified Equity Income Fund (EXG) is a buy-write closed end fund that invests in stocks worldwide. Morningstar Page-rated 4 stars. The average 3 year discount is 8.9%. Dividend is heavilysupported by a return of capital. Sponsor's Webpage: Tax-Managed Global Diversified Equity Income Fund | Eaton Vance. The fund needs to do substantially better in the next five than in the past five, as shown by the performance numbers. While I am not impressed at all with the five year performance, I will give some allowances to a period that included the Near Depression, and I am generally comfortable with the current security selections. I am reinvesting the dividends. I own now 325.781 shares in the regular IRA (and another 100 somewhere) My average total cost per share is currently $9.28 for the regular IRA shares. The 25.781 shares were bought with $218.43 in dividends, giving me a slight total positive return. Those reinvested dividends have an average total cost of $8.464, so this option is contributing so far to the total return since I have a profit on those shares. 1. Another Total Return Potential of 10%: The tax accounting issue connected with a return of capital issue is not relevant in an IRA. I therefore look at this CEF as potential total return vehicle. I would be pleased with a 10% annualized total return in an IRA. For this one, I can achieve a 10% total return and lose some money on the shares. The dividend yield is about 11.11% based on the last quarterly payment and at a total cost of $8.78. I can achieve that 10% annualized return through several ways: (1) a continued rise in the stock markets with the discount remaining about the same; (2) a rising stock market and a narrowing discount (the best option) or (3) a sufficient narrowing of the discount and/or increase in net asset value sufficient to earn a 10% annualized return even with a small loss on the shares. Risks: There are a number of normal risks attached to CEFs that use a buy-write strategy and invest in stocks worldwide. The buy-write strategy may not add to returns and even subtract from them. There are the normal risks associated with stocks. There is a risk relating to the market increasing the discount to net asset value causing an unrealized loss even the net asset value per share is stable or rising. There is a currency risk connected to owning foreign securities. Anyone unfamiliar with these risks needs to review the prospectus. 2. Bought 100 LF at $7.86 ($500 to $1,000 Flyers Basket Strategy)(See Disclaimer): Placing this purchase in the Flyers strategy is judgment call that it currently has less risk than the typical Lottery Ticket selection. Company Description: LeapFrog Enterprises develops and markets technology based learning platforms primarily designed as content and learning toys primarily for infants and for children through age 9. I am generally familiar with the products. Their best product for the current season is a tablet for kids called the LeapPad2, which has no internet connection ability but has cameras, video recorders 4GB memory and a library available consisting of games, eBooks for kids, music and more. LeapPad2 Learning Tablet My purchase was based mostly on this product. The tablet costs $99 and then the parents have to start shelling out money for lots more programs. A bundle of programs for learning to read is currently on sale for $169.96, etc. and so on. Good for LF, bad for parents. Remember the old saw, it is not about selling razors but razor blades. Prior Trades: Possibly a trade many years ago in a non-Fidelity taxable account, but to difficult to locate. Recent Earnings Release: See Discussion below in the Rationale section. (1) Establishing a Possible Price Target of $10 Within 12 Months: Needless to say, a 25% increase in the stock price within 12 months would be highly satisfactory in today's low yield world. With Leapfrog, none of that return can be achieved with a dividend since LF does not pay one. I say possible price rise. You can not put odds on something like this goal. It is at most a reasonable possibility, in a situation where I see more potential upside at the $7.86 than downside risk. Probably the most influential article that convinced me to buy just a 100 shares was written by Jack Hough and published in Barrons.com. The LeapPad was launched in August. According to Hough, some retailers are struggling to keep up with demand with both Amazon and WMT online stores out of stock when Barron's published Hough's article on 12/13/12. After the launch of this product, the 2012 third quarter sales rose 28%, compared to the 2011 3rd quarter, and LF raised its guidance for both 2012 sales and earnings. Hough further noted that Credit Suisse had named LF as one of the top 17 stocks to own for the "Long Run" in its annual Stock Section List. Risks: (1) A Pattern of Erratic Earnings: When I reviewed the five chart, I see a lot of up and down movement with the current price being about where it was five years ago. Leapfrog Enterprises Inc Common Stock Chart | LF Interactive Chart This kind of movement can be ideal for traders, since some of that movement up and down has been fast and significant. The chart looks like one for the S & P 500 during a long term bear market, where there are numerous peaks and valleys, a lot of noise but no progress for a long term holder. 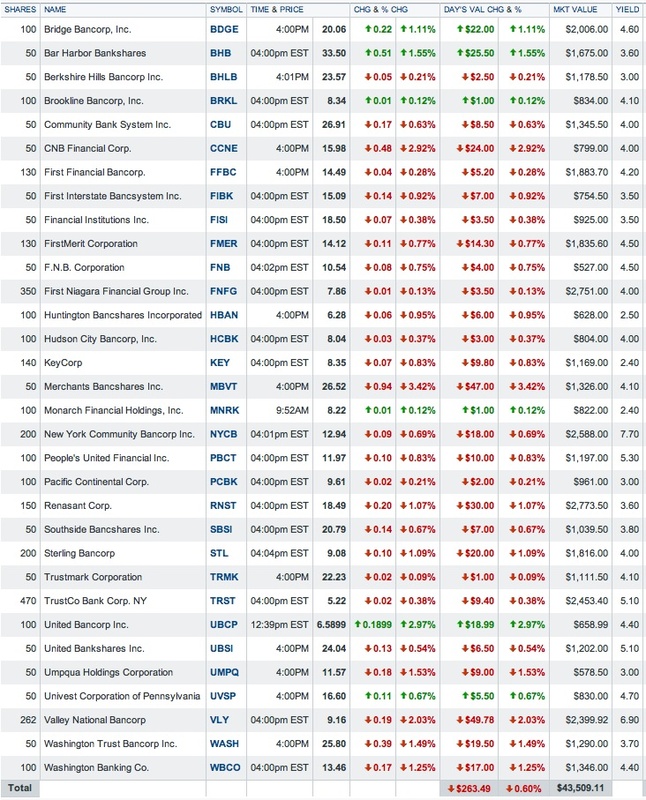 This kind of chart tells me right away that the earnings numbers are likely to be all over the place. One of the up moves started from a $2.85 share price on 8/8/12 and petered out at $11.42 on 8/30/12. Catching a move like that one is a trader's dream. That was probably too much-too fast, bringing out the profit takers in droves and consequently driving the price back below $8 by mid-December. So, what can you say, not for the faint of heart. It would be fair to say that LF has not shown any long term ability to increase earnings in anything resembling a consistent fashion. It is not General Mills or Coca Cola, so any earnings estimate needs to be taken with a good dose of caution and skepticism. I do not fear anyone taking issue with that statement. 3. Bought 50 AMJ at $37.89-Roth IRA (see disclaimer): I have an unusually high level of cash reserves in my ROTH IRA, earning nothing of course in a Vanguard Money Market Account, whose current yield is .03%, Taxable Money Market Funds - V (Alphabetically) In case anyone has difficulty seeing that number, there is a period before the zero. Company Description: JPMorgan Alerian MLP ETN is, as indicated by its name, an exchange traded note (ETN). I generally shy away from ETN's since that form of ownership exposes me to the issuer's credit risk, in addition to the numerous risks associated with the securities owned by this fund. ETN's are unsecured senior notes. I am reasonably comfortable with the JPM credit risk so I bought 50 shares. I would simply explain the credit risk as follows. If JPM went bankrupt, I am screwed. The Lehman unsecured senior note owners did not exactly recoup their investment in those notes. This ETN will track several types of MLPs involved in various aspects of the energy business, including pipelines, production and storage, gathering and processing. This page also shows the historic performance of this index. The three year annualized return is 18.05% which actually worries me some as a new owner. Morningstar Page on AMJ (rated 5 stars). I believe that page is available to non-subscribers. As a subscriber, I have access to the analyst report which provides basic details about the legal structure and the fund. I discuss the tax disadvantages of MLP ETFs in several earlier posts that led me to discard most of them. Basically, the MLP ETF had to organize as a regular C corporation which requires it to accrue tax liabilities that will cause it to underperform the index. 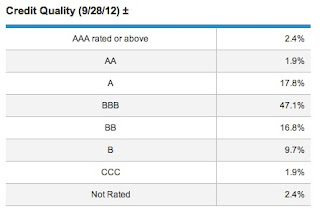 While the ETN avoids that particular issue, it has its own baggage with the credit risk issue. So, I sometimes refer to this predicament as picking your poison. Since I prepare my own tax returns, I am going to avoid the poison connected with owning MLPs directly, which involves imputing K-1 data into my tax return. I have been there and done that. Those who are familiar with the tax issues claim that there is no UBTI issue when the investor owns a MLP ETF or MLP ETN in an IRA. (e.g. Barrons.com; Seeking Alpha; MLPs and Retirement Accounts; Seeking Alpha) I would not research that issue myself using original source documents. It would give me a headache. I am certainly no tax expert. (see Stocks, Bonds & Politics: OG's Qualifications and Lack of Qualifications) My knowledge is limited to what I read in articles written by others. I did discuss the UBTI issue when I bought 150 shares of KFN earlier this year in an IRA. Added 50 KFN at $8.81-Regular IRA I no longer own it. Rationale: (1) Income with Some Capital Gains Potential: Given the dividend yield, currently near 5%, I can achieve a 10% total return by 5% capital appreciation and possibly less with distribution increases. Risks: (1) Income May be Devoured by a Loss on the Shares: Since this ETN has already had a decent run, a correction in price is a possibility and it would not take much of a correction to wipe out a 5% dividend. Hopefully, any such correction would be temporary with upside momentum resuming after a correction runs its course. (3) Normal Risks associated with the securities tracked by the index that are discussed thoroughly in the prospectus. There may be added risks coming from Congress in future years due to changes in the tax code as the government attempts to raise more money. 4. Bought 50 KWN at $24.85-Roth IRA (see Disclaimer): I am just trying to earn some kind return on my cash with this one. Security and Company Description: Kennedy-Wilson Holdings (KW), through its subsidiaries, operates as a "real estate investment services company" in the U.S., Japan, the UK and Ireland. 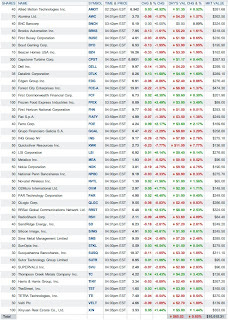 According to FINRA, linked above, the senior unsecured notes are rated at B2 by Moody's and BB- by S & P.
I was not that familiar with this company but knew that several of the Royce mutual and closed end funds had significant stakes in KW: KW Major Holders Of the Royce funds mentioned in that link, I own shares in the CEF Royce Micro-Cap Trust (RMT) which shows KW as its largest holding at 2% as of 11/30/12. Recent Earnings Release: KW reported a GAAP loss of $6.2M for the 2012 third quarter, compared to a $6.2 million loss for 2011. Adjusted EBITDA for the quarter rose 94% to $17.5. As of 9/30/12, the company and its partners owned 14.6 million rentable square feet of real estate, including 13,950 apartments and 24 commercial properties. KW and its partners also owned as of that time $2B in loans secured by real estate. 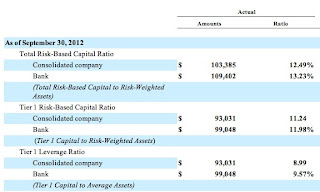 As of 9/30/12, the balance sheet shows $126.804M in cash and liabilities that included $249.425M in senior debt; $30.748M in Mortgage loans; and $40 in a junior subordinated debenture. The 2019 senior note had a principal balance of $200M. The junior debentures mature in 2037. KW-09.30.12-10Q (debt discussed at pp. 14-15; 46-47. Rationale: (1) It Is Entirely About the TAX FREE Income Generation in the ROTH IRA: Of course, this is not a tax free bond. It becomes a tax free bond when purchased in the ROTH IRA. If I can collect several interest payments and sell at over par value, I will be satisfied. Risks: (1) The interest rate risk would be in my view the dominant risk. As rates rise for long term maturities, the value of this bond will start to go down. It would not be difficult to imagine the pain when and if interest rates rose to 10% for new bonds with a similar credit profile. If I still hold the bond when rates are at 10%, I also incur the risk of lost opportunity, the ability to receive a higher return with the capital devoted the KWN bond. The second main risk is credit risk. This is how I look at this risk factor. 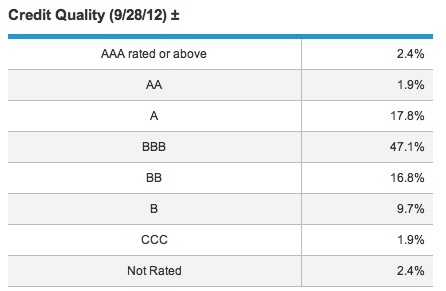 I am okay with the credit risk now. However, let's say just for illustration that I had to hold this bond for 30 years. A lot can happen in 30 years. As the future time span increases, so does the credit risk. 5. Bought 50 GJS at $13.77 (see Disclaimer): GJS has as its underlying security a 6.125% senior bond issued by Goldman Sachs maturing in 2033. GJS has a $25 par value and matures in 2033 too. So, with those two facts in hand, an investor does not need to be particularly insightful to conclude that GJS has some issues of the serious variety. Please note that I purchased just 50 shares, and would receive $11.23 per TC more in 2033, assuming GS or its successor survives to pay the trustee who will then pay me $25 per TC. Assuming redemption, I have a nice long term profit built into the purchase. The issue is lightly traded and limit orders need to be used. There is usually a wide bid/ask spread. Security Description: Everyone already knows about GS, so I will limit this discussion to this odd and esoteric security. For anyone subject to migraines and unfamiliar with this topic, I disclaim in advance any responsibility for giving you a headache by giving this warning ahead of time: this will make your head hurt. The name Synthetic Fixed-Income Securities Inc. Floating Rate STRATS Series 2006-2 for Goldman Sachs Group Secs (GJS) does not suggest that this is going to be like reading a children's book about Jack and Jill. The LB is not intimated by such matters and would would certainly prefer reading the prospectus for this security than a romance novel. While it is just my opinion, I would not buy one of these securities in a non-retirement account due to the tax issues relating to the swap agreement. GJS is a SYNTHETIC FLOATER in the Trust Certificate form of ownership. This security will make monthly interest payments at a .9% spread over the 3 month treasury bill up to a maximum coupon of 7.5% on a $25 par value. The GJS TC represents a beneficial interest in a 6.125% senior bond issued by Goldman Sachs that matures on 2/15/2033 that is owned by a grantor trust administered by an independent bank trustee. Just take it one step at a time here. The trustee will collect the coupon payments on the 2033 senior bond from Goldman Sachs and swap it with a brokerage company for the payment due the owners of GJS. There is no way for GS to avoid the make whole payment for an optional redemption so the GJN situation is not applicable. Rationale: This security provides some inflation protection due to the LIBOR float and significant appreciation potential given its current discount when and if three month treasury bills return to normal levels consistent with a sustainable economic expansion. Risks: These securities are just hard to understand. There is no reasonable prospect for a decent interest payment for several years. However, when there is one on the horizon, this security is not going to be at its current level. It was selling at over $21 in 2007. GJS Stock Chart Of course, there is a risk of a GS default but there is not really much, if any, interest rate risk due to the .9% float over the three month treasury bill. Eventually, the Federal Reserve will end its financial repression and the artificially low short term rate monetary policy. The federal funds rate will determine the three month treasury bill rate. While I am just guessing, a rise from the current level to 5% would take GJS over $20. 1. Government Share of the Medicare Burden: For the usual reasons, many people believe that they actually pay for their Medicare benefits through the lifetime payroll withholding and the premiums. The Kaiser Foundation, which is a very good authority on this type of issue, lays out the split between the taxpayers and the government at page 2, kff.org.pdf. An investor can confirm whether a broker is displaying that order by simply trying one out when the bid/ask spread is more than a penny. Fidelity and TD Ameritrade allow me enter a AON order on 100 shares or more. Vanguard requires at least one more share in the order over 100. As I recall Schwab requires 200. It varies. But, to see for yourself on your next buy order, enter a AON order slightly above the best displayed bid, complete the request and then check whether the order is displayed or not.